A new study published in the Journal of Geophysical Research: Atmospheres, a journal of the American Geophysical Union, finds unexpectedly high levels of reactive bromine-containing chemicals in plumes emitted by coal-fired power plants not using a particular type of exhaust-cleaning technology. Bromine species impact the chemistry occurring in the atmosphere as sunlight can convert them into extremely reactive chemicals. These could then react with and alter the breakdown process of compounds such as nitrogen oxides and ozone, which are both pollutants that can have detrimental effects on respiratory health. The ultimate impact of these reactions is still being researched, the authors said. Bromine species emitted by power plants could also be deposited onto the surface of bodies of water, the study's authors said. There they may transform and react with chemicals introduced to disinfect drinking water. Some of the by-products produced by these reactions are considered possibly carcinogenic after long-term exposure, according to the Centers for Disease Control and Prevention. Some coal-fired power plants artificially enhance their fuels with bromide salts because they help reduce the emission of mercury, a chemical with highly toxic effects. But this strategy can introduce bromine-containing chemicals into the atmosphere in an uncontrolled way, according to the study's authors. "Bromide salt when it burns releases bromine radicals that bind with the mercury and it becomes easier to scrub out the mercury from the flue gas," said Ben Lee, a research associate at the Department of Atmospheric Sciences at the University of Washington in Seattle and lead author of the new study. "In their attempt to clean up the mercury, they created a secondary problem with the bromide." 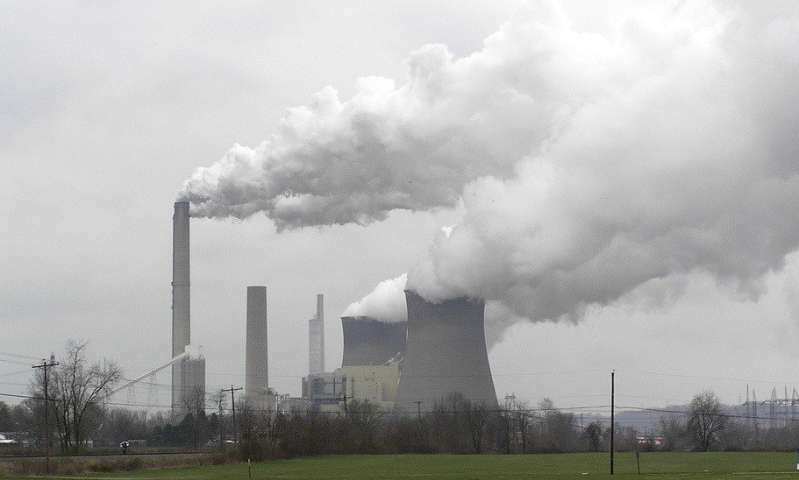 Because bromine emissions from coal-fired power plants have not been studied until now, their impacts on the atmosphere, which might extend into regions far from the point of emission, are not well understood. "As you go further away from the direct emission sources like a power plant or a city, what we might think is a clean or pristine environment may not actually be, because these lines of chemistry that have been kickstarted go on for quite some time," Lee said. "That's what we're trying to find out is, how does it persist and how does it terminate." In early 2015, a group of researchers from across the U.S. embarked on the WINTER campaign, a project to understand how wintertime conditions impact the fate of pollutants emitted in the northeastern U.S. 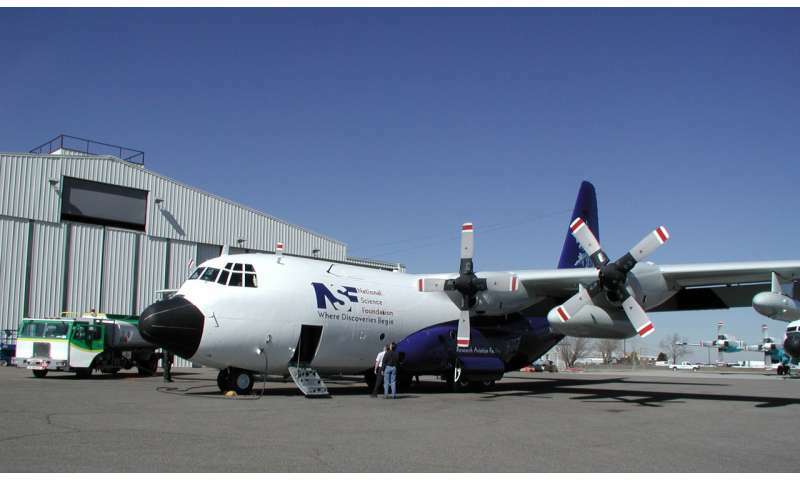 The researchers installed dozens of state-of-the art instruments onboard the NSF/NCAR C-130 aircraft and sampled numerous exhaust plumes originating from power plants in several northeast states and Georgia. To the researchers' surprise, plumes with elevated levels of reactive bromine compounds were attributed to coal-fired power plants that did not use wet flue gas desulfurization, a technology that is intended to treat and capture harmful pollutants before they are emitted to the atmosphere. In contrast, exhaust plumes from plants that did employ this technology were devoid of reactive bromine species, Lee said. Plumes with reactive bromine had higher concentrations than what the authors expected. Coal naturally contains some bromide, but this alone could not explain the levels measured in certain plumes, according to the researchers. The study's results suggest the plants may have enhanced their coal with bromide salts, although none of the plants reported doing so during the time of the study. "It's still a mystery to us," Lee said. "If they were not artificially spiking their coal with bromide salts, why we were measuring so much more bromine in the exhaust than what can be accounted for?" This study only examined each plume for seconds to a few minutes, but many power plants operate around the clock year-round. The measurements could have been an aberration in plant operational conditions, Lee said. To fully explain the perplexing measurements, more longer-term measurements are needed, he said. Future studies could provide answers by identifying other factors contributing to their emissions like wet flue gas desulfurization efficiency or coal quality. And to answer questions about how reactive halogens affect atmospheric chemistry, studies of the chemical transformation and cycling of halogens after they are emitted are also necessary, Lee said.